Things are getting close to wrapping up on this remodel. The final touches are being done to the interior, and the landscaping has begun with the installation of the sprinkler system. 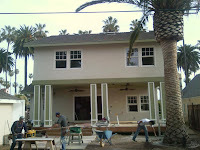 Here are some more pics to let you see how things are looking on the inside and the outside of this San Jose remodel. The exterior pics are of the rear and side decks. The interior shots are of one of the upstairs bedrooms. I'm finally updating the Mountain View Project that I first blogged about in April. 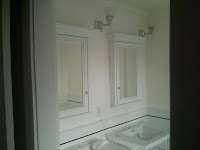 As you can see in these pics, things are just about finished on this one room addition. 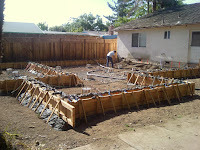 I'm reposting the pics of the plans, as well as the "before" picture. That way you can see how the home has changed, and how the final product compares to the plans. Don't forget to click on the link above to visit our website. 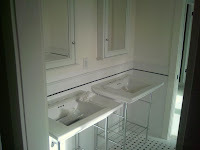 We have several pictures of past projects on our portfolio page. I'm running a little behind on the blog, but here is the update from Friday. I've posted the end of the week pics from the job site in Campbell. We didn't get quite as far as planned but the forms were removed to reveal the foundation, and the construction will continue this week. 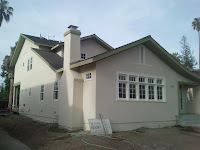 We are in the process of adjusting our blog to bring a more in-depth look at the entire remodel/addition process. In the coming weeks we want to provide updates on multiple projects. It is our plan to show what work is being done on each project and how it is tracking to the planned schedule. 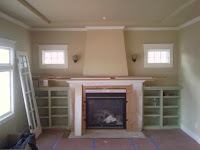 We are still toying with the exact format, but here are some more pics of a project being worked on in Campbell, CA. It is a large master bedroom addition, and we have added plans and some "before" pics, as well as the construction currently being done. 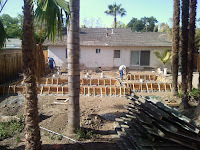 Right now the concrete is being poured and you can see the completed forms for the foundation. The plan is to construct the flooring and begin framing by the end of the week. We'll be updating this project again on Friday, to let you know how the execution lived up to the planning. In the mean time we hope to get some more of our projects posted as well. More pics of the San Jose Project. Here are some more pictures of the San Jose House. You can see the back of the house with the new deck installed. The large palm tree you see actually had to be craned in. I have also included some interior pics showing some of the in progress work still going on.